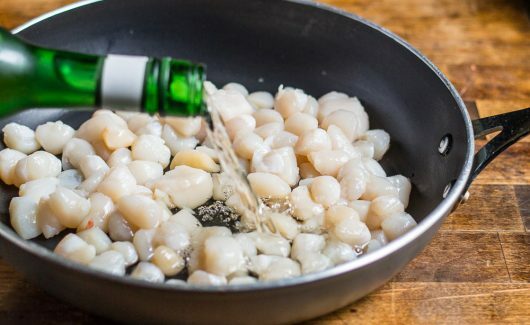 Take some naturally-sweet scallops, drape them in wine and cream, spoon them into scallop shells (or a small baking dish), pop them under the broiler until brown and bubbly, and what will you have? 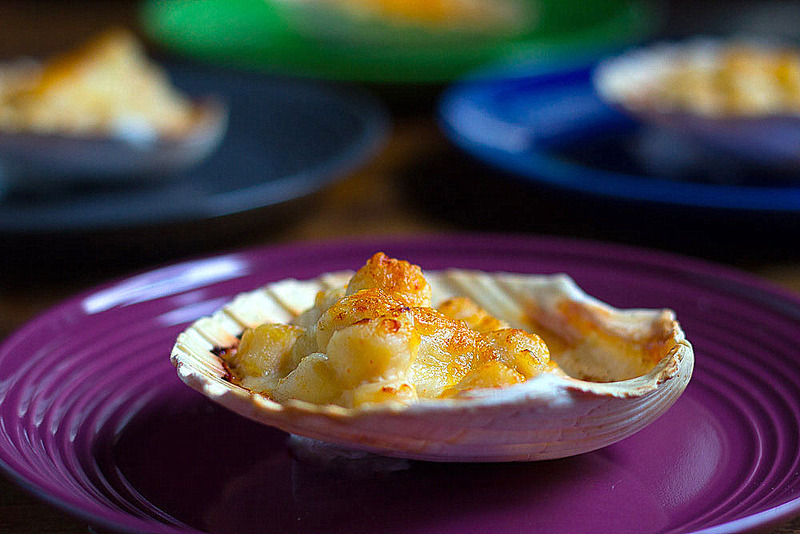 A fabulous French first course or luncheon dish called Coquilles St. Jacques! 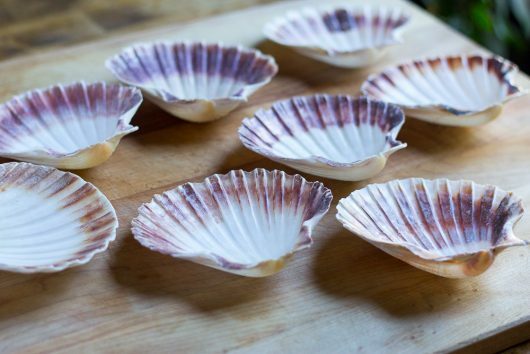 A note about scallop shells: You can find these in most kitchen-supply stores. Or, do what I did, and purchase them for a song from this online source. 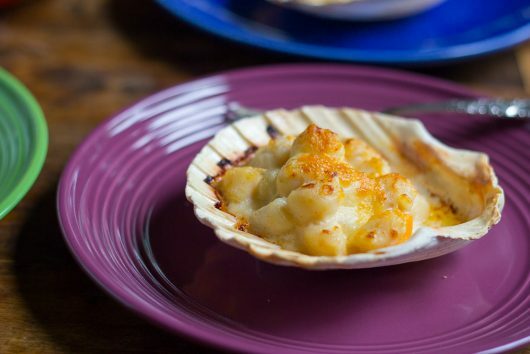 Alternatively, you can broil your Coquilles in a small baking dish or gratin pan, or in little ramekins. And add enough dry vermouth (or dry white wine) to almost cover the scallops. That’s about a 1/2 cup of vermouth. And a 1/4 teaspoon of kosher (coarse) salt. Now bring the mixture to a rapid boil on the stove top. Then lower the heat and let the scallops simmer until springy to the touch — about 2 minutes. Don’t over-cook the scallops! 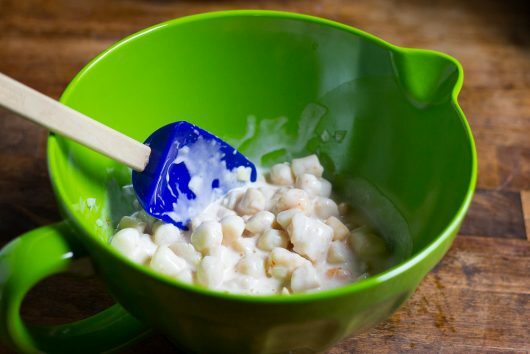 While the scallops are simmering, mix 1 heaping tablespoon cornstarch with just enough cold water to make a smooth paste. 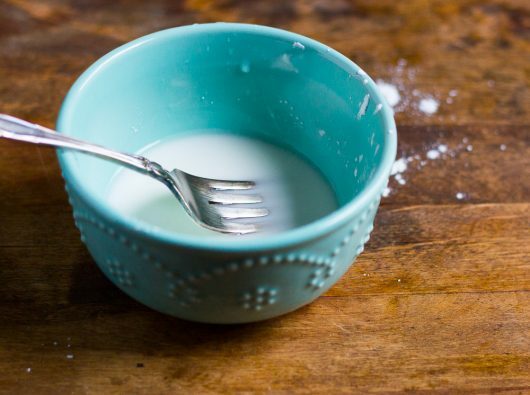 Be sure to spill some cornstarch on your work surface. And strain the scallops so the cooking juices drip into the bowl. 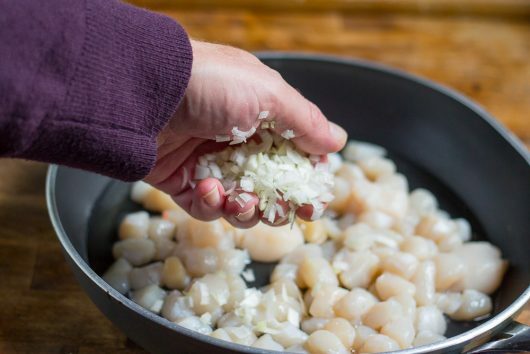 Return the cooking juices to the skillet, and tip the scallops into the (now-empty) bowl. 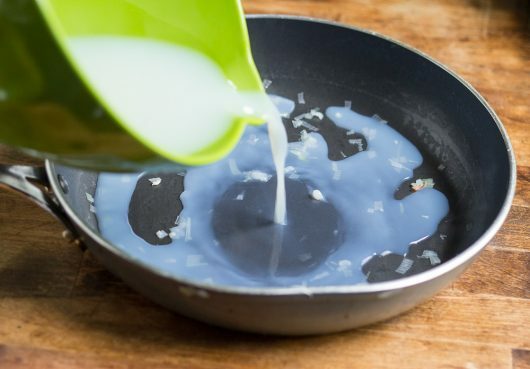 Add 1/2 cup heavy cream to the skillet, and bring to a rapid boil over high heat. Then whisk in the cold cornstarch solution. 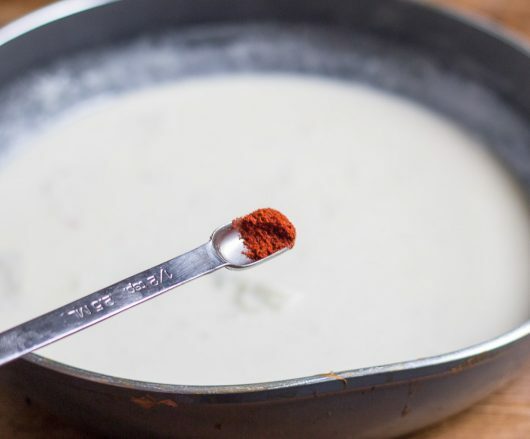 Keep whisking until the sauce thickens — about 20 seconds. Off heat, whisk in 1/4 teaspoon paprika. Add the winey cream sauce to the scallops, and gently but thoroughly stir them together. 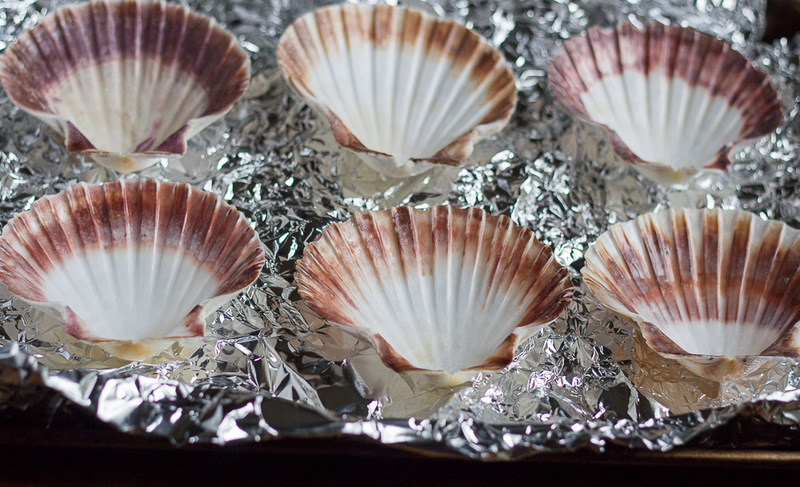 Line a baking sheet with some crumpled aluminum foil, and arrange 6 scallop shells on top. The crumpled foil will keep the shells from tipping while we fill them. And top them off with a small amount of grated Swiss cheese — about a tablespoon of cheese for each shell. Make-ahead note: At this point, you can cover and refrigerate the filled shells for several hours. About 5 minutes before serving time, set the baking sheet under the broiler, and broil until the cream sauce bubbles and the cheese colors attractively — 2-3 minutes. Then plate the scallops, and bring them to table. They’ll make a fine start to almost any dinner party, especially one where Thyme and Wine Beef Stew is served as the main course. No scallop shells in your batterie de cuisine? Use a baking or gratin dish that is just large enough to hold the scallop mixture, and broil as described above. And then make plans to obtain some scallop shells. They’re fun to work with! They clean up beautifully, too. A fabulous first course that can be assembled several hours in advance, and then browned beneath a broiler a few minutes before serving time. 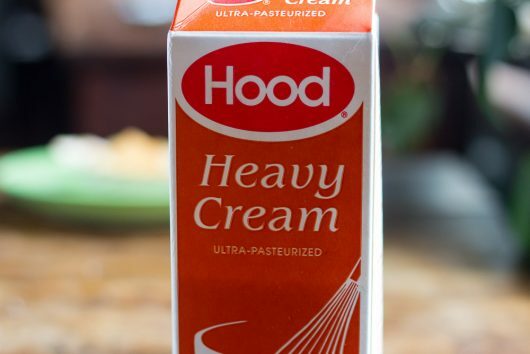 It's naturally sweet, luxuriously creamy, and definitely delicious. 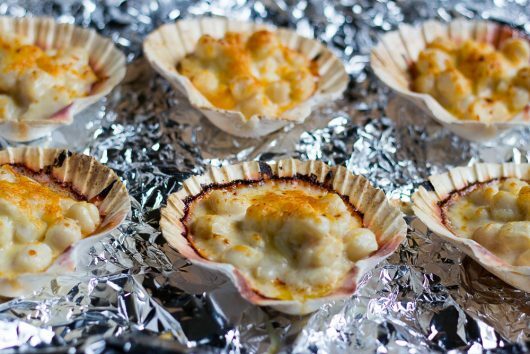 Line a baking sheet with crumpled foil, and arrange 6 clean scallop shells on top (see NOTES below). 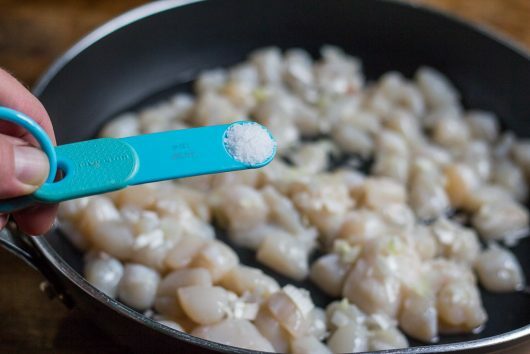 Then put the bay scallops, vermouth, scallion, and salt in a non-stick, 10-inch diamete skillet. 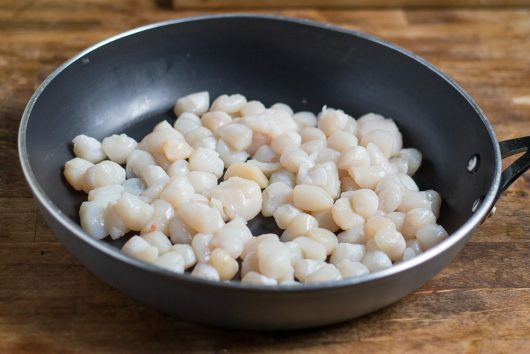 Bring to a rapid boil over high heat, then immediately lower the heat, and let simmer until the scallops are just springy to the touch – about 2 minutes. 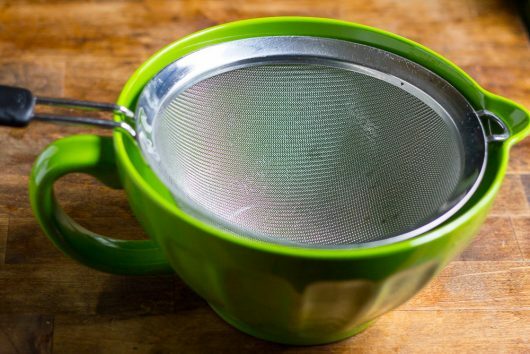 Pour the scallops and all of their cooking juices into a fine-mesh sieve set over a medium-size bowl. Return the cooking juices to the skillet, and tip the scallops into the (now empty) bowl. 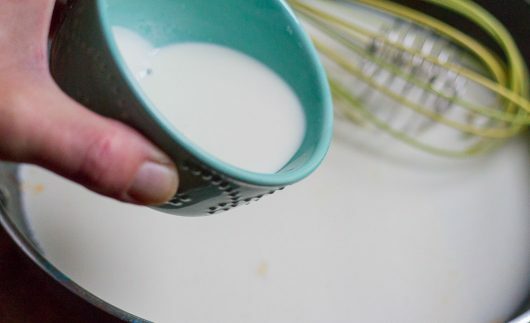 Add the cream to the cooking juices, and bring them to a boil. 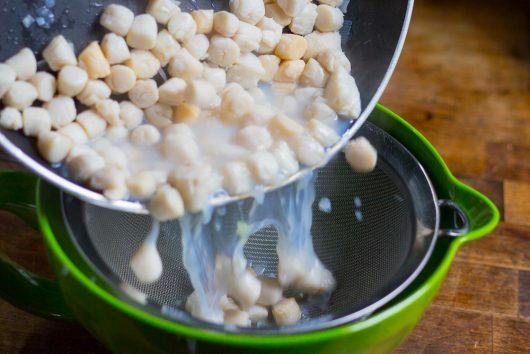 Then add the cornstarch mixture, and whisk until thickened – about 15 seconds. Off heat, whisk in the paprika. Tip the sauce over the scallops, and stir gently to combine. 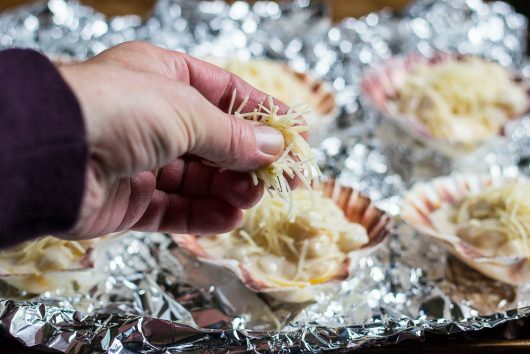 Divide the scallop mixture between the shells, and top them off with a light sprinkling of the grated cheese. (If you are not planning to broil the scallops right away, cover and refrigerate them for several hours. Remove the cover before broiling.) Broil until the cream sauce thickens, and the cheese colors attractively – 2-3 minutes. Serve at once. 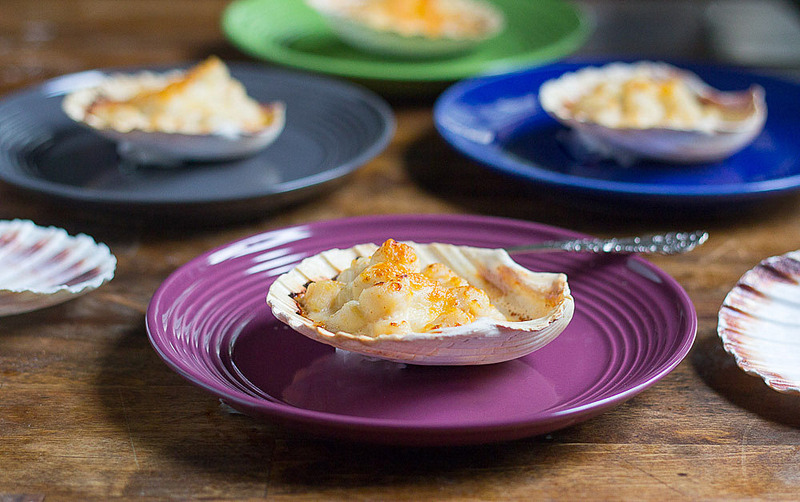 NOTES: For the best presentation, be sure to serve Coquille St. Jacques in scallop shells. The shells are available at most kitchen-supply stores. Otherwise, use a baking or gratin dish that is just large enough to hold the scallop mixture. Twas indeed!!!! What a fabulous treat to have Kevin appear with a “shellfull” of these delicious scallops!!! Creamy savory sauce over tender sweet bay scallops with just a wave (did ya catch that ocean reference there?? ) of cheese. Reminded me of how fond I am of this particular dish!! Kevin gave me the walk through of making it- so approachable, downright streamlined his version is!! You will love these, for appetizers, main course…whatever your menu needs!! Thanks for sharing Kevin!!! Lovely presentation. I too, would prefer sea scallops if that’s possible. Kevin, you bring tears to my eyes! Coquilles St. Jacques used to be one of my favorite dishes until – about fifteen years ago – I developed an allergy to scallops. It occurs to me that perhaps I can make this with a firm, white fish. Maybe swordfish? Comment dit on “swordfish” en francais? My latest inspiration! I haven’t made this in years. And I have the shells – and am a New England coastal dweller – so there’s really no excuse. Off to the market for scallops today… thanks to you. Oct. 1 is opening day of bay scallop season here on the cape! Local Bay scallops are far better than sea scallops. They sometimes fetch upwards of $30 per pound, which is why I don’t buy them but gather 30 or so pounds a year! Sea scallops are very good too though. Oh, Kevin!!!! You have outdone yourself… ( if that’s possible) You can die after eating this…you have experienced Nirvana!!! Hi Cheryl and Linda – Bay scallops are the sweetest of all scallops, and hence their hefty price tag. But you can certainly use sea scallops for Coquilles St. Jacques. Just chop them first so they will cook quickly and evenly. Hi Maraya – Swordfish (espadon, en Francaise) in this very same wine and cream sauce could be heavenly indeed. If you try it, let me know how it turns out for you! 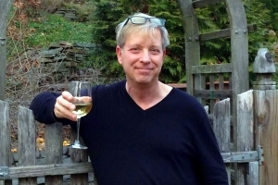 Hi Dr. Contois – Nirvana indeed! 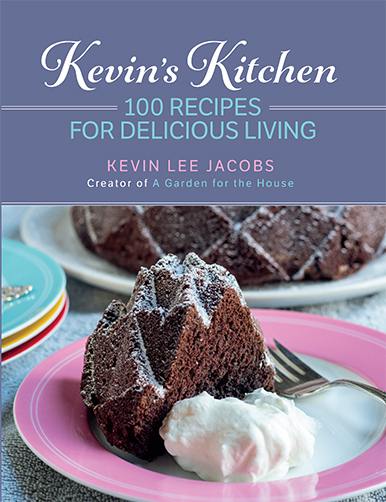 Kevin, I didn’t know Coquilles St. Jacques was so easy to make! Love your step by step photos! I’m drooling! Ordering the shells now so I can make the scallops this weekend. Thanks, Kevin! I love Brenda’s review. Wish I lived next door to you! recipe in as many years and your post is a happy reminder. out the flavor more? Or does it matter?? Hi Linda A – The scallions (or shallots — I wouldn’t use onions) are for “background music.” When finely minced, they soften quickly in the cooking juices. Hope this answered your question! OMG, this sounds so Good !! I will be procuring the ingredients to make this soon! You have reminded me I haven’t made these for a couple if years. To the markets now! Although I don’t have a green jug…. Thank you! You have reminded me I haven’t made these for a couple of years. To the markets now! Although I don’t have a green jug…. Wow Kevin your site is grand stuff man!!!!!!!! I was wondering if you would like some fresh Tumeric organically grown in my Greenhouse in NC. I ma sure you could do something wonderful with these lovely rootlets. They give a dish and exciting yellow color too. I thought I would just share with you what I learned the other day on the river tour in Paris. I found it so interesting. The word for “scallops” in French is “coquilles St. Jacques.” The symbol for the route Saint-Jacques-de-Compostelle to Spain (The Way movie with Martin Sheen) is a scallop shell. When the French were coming back from their pilgrimages they brought the scallops with them and that is how they became named this way. There is the tower of St. Jacques in the city center of Paris next to Chatelet. I’ve asked hundreds of people over the years what that tower is with the shells on it and nobody knew. It was and still is the starting point for the Parisians for the pilgrimage to Spain. Kevin, you have outdone yourself! This recipe looks absolutely fantastic and I look forward to trying it when scallops are in season next month. Hi Judy – Thanks for the offer! No need to send, because my local farm store offers organic, greenhouse-grown tumeric. It’s healthy stuff! Hi Kathryn – Thanks for the history lesson! Oh, how I love Paris. 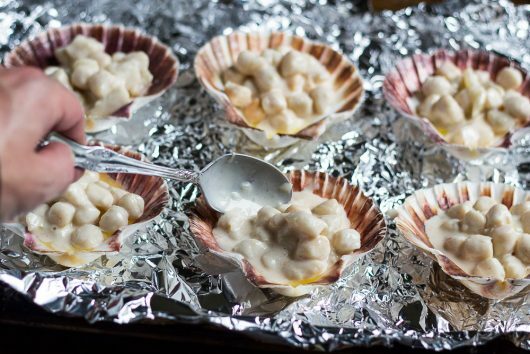 My best souvenir from a vacation in Maine is a HUGE tea tin full of lovely scallop shells just for such a recipe! Made this beautiful dish tonight with rave reviews. A simple rice pilaf and stuffed zucchini made a very pretty and special dinner for a quiet Sunday night. Thanks, Kevin – you make me brave!! Hi Marymargaret – I’m so glad the Coquilles worked out for you! I was just wondering what to make for the Halloween party…you’re so awesome, thanks!! OK, what is your favorite Swiss cheese for this? I normally have Jarlsberg on hand but would love to discover a new cheese. Right now my favorite is Manchego from Spain.